The Winter Solstice can be regarded the next most important festival in the Chinese Lunar Calendar, after the most famous one, the Lunar New Year. It falls usually around Dec 22, and this year, its fallen on a Saturday. Usually, the whole entire family will come home and have a meal together. I don't ever recall myself missing any of these dinners, as usually my mom will cook up a storm. As I have grown up eating all these food, it is generally to my taste. 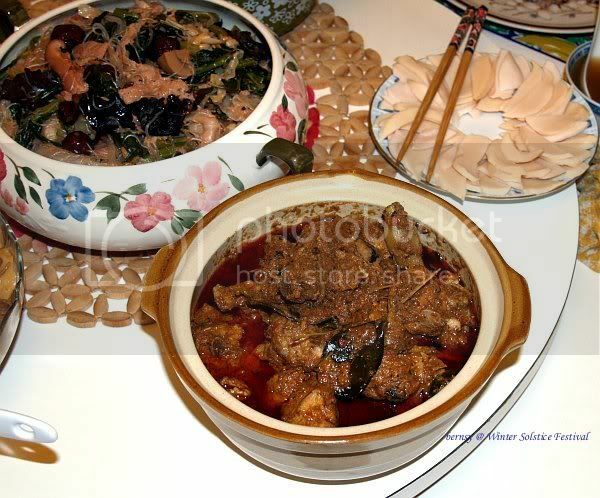 One of my mom's must have, must cook dish is this pot of Vegetables cooked in Nam Yue (fermented beancurd sauce). This is also the usual dish or pot she cooks up whenever the family goes vegetarian on Day one of the Chinese New Year. 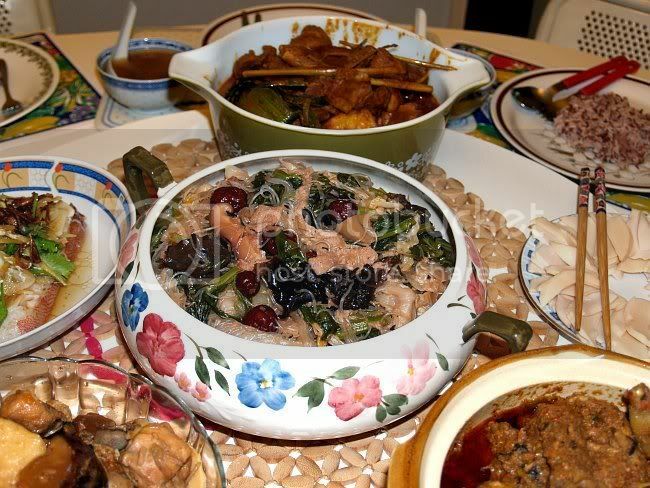 This dish has got lots of vegetables in it, usually it has their meanings, black moss, mushrooms, choi sum, red dates, tang hoon, muk yee, etc...) The whole pot is vegetarian, and I love that dish. This year our sister in law also joined in the cooking. She brought chicken rendang, from her home ,and I thought it was superb. Although the rendang could be reduced more, but I found the taste to be very good. My mom doesn't cook rendang so this is like a brand new dish at home..... yummy ! Also on the table is a plate of abalone, thinly sliced. Its juice in the can is added into the herbal chicken soup. 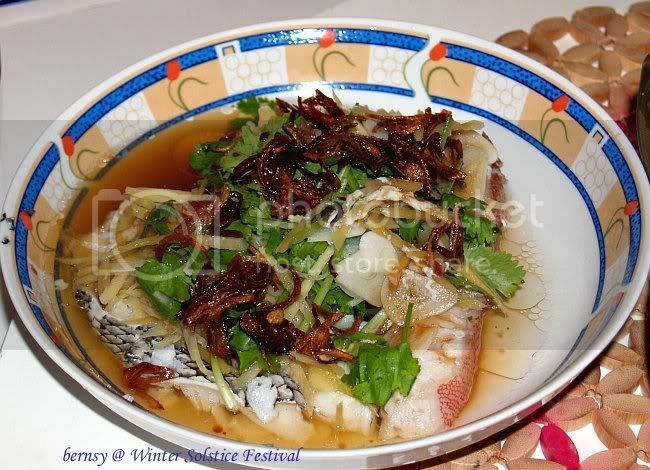 This year's fish, is steamed with ginger slices, coriander, with light soy sauce. This years fish is a slice of Cod Fish and a slice of 7 star Grouper. 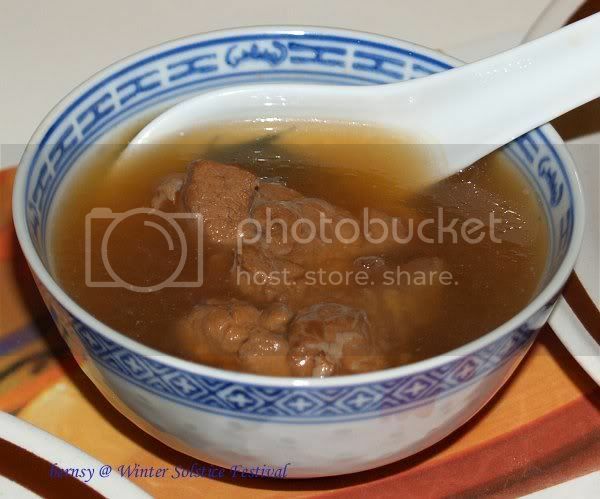 As usual, we will have a bowl of herbal soup. Cooked with various herbs and spices, this soup definitely does not contain any MSG, although I did see mom add in a can of abalone juice right before it was served. 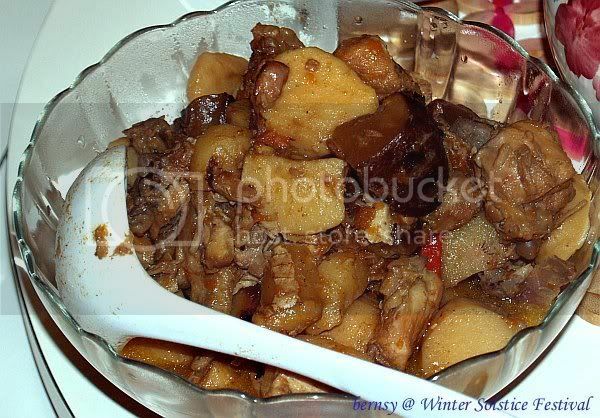 Another one of them super nice dishes is this stewed tuber with chicken (Nga Ku Kai). wah, a great feast, man! 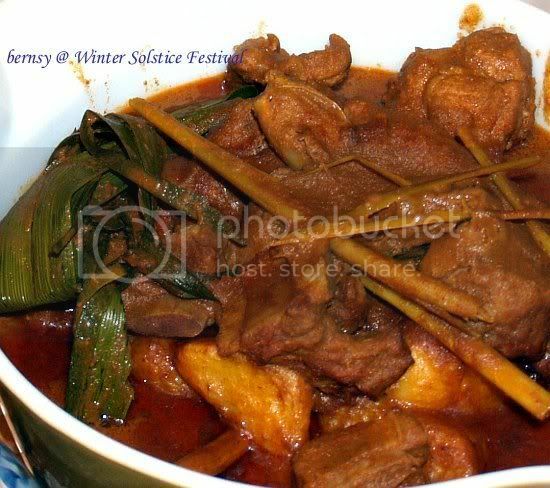 all festive season dishes...we usually hv stewed tuber with siew yoke and leek instead...cos its more savoury! that vegetable+fermented beancurd dish is also very nice. 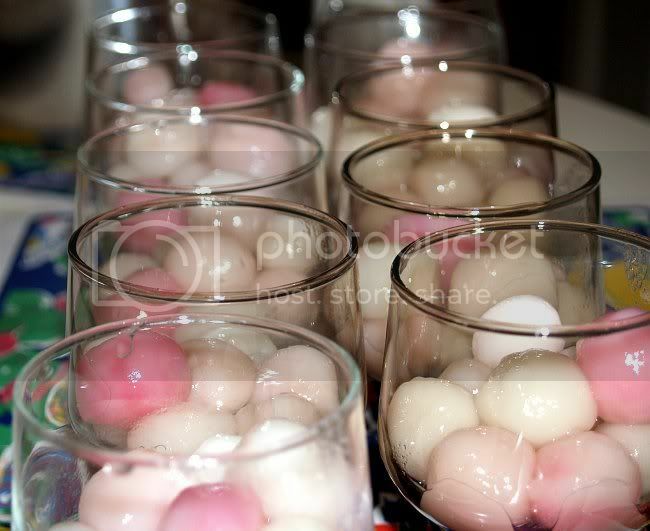 used to frown when mum serves this on cny..haha! btw, merry christmas n happy new year! oh ya the leek dish. My moms not big on siu yoke, so we usually don't get very much of it. Hahaha. We all need a Bernsy to remind us of our priorities. :-P Yay Char Siu! what a feast! sure we can wallop them all! lol! Nothing beats a homecooked meal!! Slurps!! The pot of vegetable medley looks delicious! Could you give me a general idea as to how your Mom prepared it? I would like to make that dish. Thank you! In general that dish is called Chap Chai, the recipe can be found on the net. What secret ingredient she tarok inside, i am also trying to find out, because hers is like slightly different from other people's one. Cantonese, and Hakka have similar ways of cooking it, Hokkiens also differnt, I think hers is the teochew style.